Tokyo Milk La Vie en Rose No. 42 Lip Elixir nourishes the lips with beeswax, jasmine, vitamin E, and aloe vera, healing chapping and providing a smooth, moist surface. Featuring an aromatic blend of rosewater fruit, and Tahitian vanilla, Tokyo Milk La Vie en Rose No. 42 Lip Elixir coats the lips in moisture, healing dryness and chapping while providing a smooth, moist lips surface. Try Tokyo Milk La Vie en Rose No. 42 Lip Elixir today! Tokyo Milk La Vie en Rose No. 42 Lip Elixir is recommended for all skin types. It is perfect to treat dry, chapped lips or to moisturize dry skin. Open the tin, and use your index fingertip to gently coat the lips with a thin layer of Tokyo Milk La Vie en Rose No. 42 Lip Elixir. Apply as often as you like to hydrate the skin and heal chapped areas. 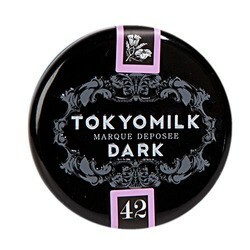 Tip - Apply Tokyo Milk La Vie en Rose No. 42 Lip Elixir BEFORE you get chapped lips to prevent skin damage. The complete ingredients list for Tokyo Milk La Vie en Rose No. 42 Lip Elixir is currently not available.